The Town of East Hampton, New York is located in Suffolk County on the eastern end of Long Island's South Shore. In May 2014, the Town Board voted unanimously to set a goal that by 2020, local renewable energy installations would annually generate the same amount of electricity as is consumed by the community of approximately 21,000 people. By 2030, this goal would additionally be achieved for heating and transportation. 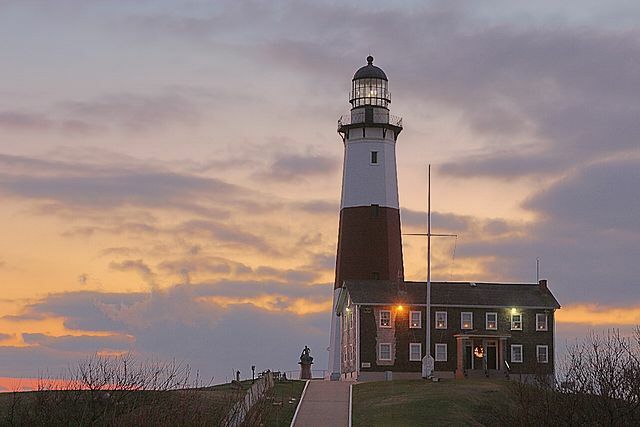 The Town of East Hampton is the first municipal government on the East Coast of the United States to set such a bold 100% renewable energy goal. Town leadership was motivated to seek energy efficiency improvements and local renewable energy development, in order to keep money and jobs in the local economy. They also aimed to address rising summer peak demand for electricity and to reduce the need for controversial, unattractive new transmission lines that were beginning to go up in the region. The decision was furthermore in line with both state and local policy. A New York State Executive Order calls for mitigating climate change by cutting greenhouse gas emissions from all sectors 80 percent by 2050. The Town of East Hampton's Comprehensive Energy Vision document adopted in October 2013 calls for setting specific energy efficiency and renewable energy targets and timelines. The Town's Energy Sustainability Committee, in agreement with the suggestion of local advocates, recommended that the 100% renewable goal be pursued as part of building on that document. Also helping to move the decision forward was a realistic potential pathway forward for achieving 100% renewable electricity using available incentives for local renewable electricity development. The local utilities Long Island Power Authority (LIPA) and PSEG Long Island (PSEG-LI) were offering a 100 MW solar Feed-in-Tariff with a 7 cents per kwh adder if a minimum of 40 MW of solar proposals were received for the area. Additionally, LIPA/PSEG-LI had issued a 280 MW Request for Proposals (RFP's) for renewable generation. The Town issued RFP's for solar proposals on town-owned land and received about 70 MW worth of proposals under both the feed-in tariff and the RFP. By May 2014, LIPA/PSEG-LI had already selected 32MW of solar proposals to be located in East Hampton. with other solar projects and an offshore wind farm under review. The proposed offshore wind farm, called Deepwater One, would be located 30 miles off the tip of Long Island and could supply Long Island with over 200 MW of power. Although offshore wind has faced an uphill climb in the U.S. compared to other locations like Europe, a 30 MW pilot project by the same developer proposed nearby off the coast of Rhode Island won unanimous approval in May 2014 by the state Coastal Resources Management Council. As of May 2014, it awaits approval by the U.S. Army Corps of Engineers, among other agencies, and if constructed, could be the first offshore wind project in the U.S. According to local advocacy group Renewable Energy Long Island, if all of the projects selected by the town and the proposed offshore wind farm get constructed, the combined energy production from these facilities would be greater than the Town of East Hampton's annual electricity consumption of 310,000 MWh. Included in this calculation is only 21% of the offshore wind farm's output as it would be shared by five East End towns proportionally. 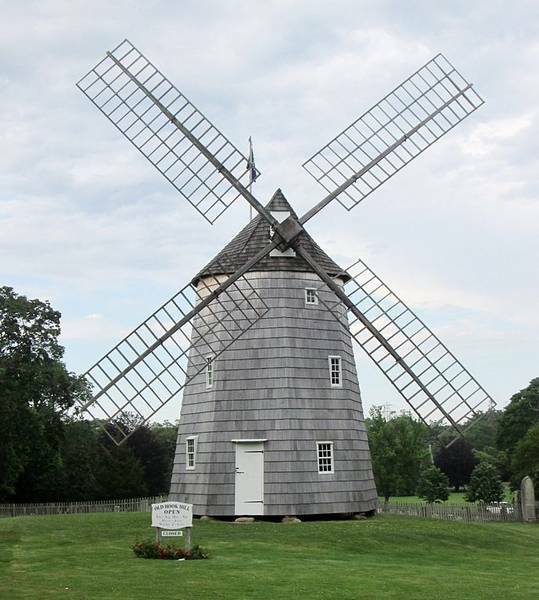 Renewable Energy Long Island's Executive Director, Gordian Raacke, says the combination of the concept and the feasibility helped lead to the eventual 5-0 vote by the Town Board to adopt the 100% renewable energy goal, which received overwhelming public support. Special thanks to Renewable Energy Long Island for its contribution to this entry.